Even enthusiasts of the oft-forgotten caliber will admit that there hasn’t been anything super about the 38 Super for a very long time. Since the Colt Super-.38 was introduced as a pistol capable of taking any game on the American continent in the December 1928 edition of the American Rifleman, it has been a slow and steady decline for the once-touted 38 Automatic. There have surely been ups and downs, with a small run of Colt 38 Supers going to the OSS (CIA) in 1944, and a huge “boom” (no pun intended) in the competition market in the 1980s, but for the most part, the cartridge that has gradually become known as the 38 Super +P will be remembered as a chambering that always had a lot of potential and a cult following. Part of that could be (and probably is) due to the overall length (OAL) of the Super requiring a larger-framed handgun than many people prefer for carry, and a lot of it is certainly due to the virtually identical ballistic performance of the shorter .357 Sig round that can more easily be used in compact designs. But for fans of the 1911, the longer OAL of the Super also makes it much more reliable than the .357 Sig in that platform, and as long as that pistol remains popular in America, there will likely be a demand for the 38 Super. The problem with most factory 38 Super ammo today is the chronic anemia suffered by factory loadings. Even current defensive loads barely meet the ballistics of the original 38 Auto, and the 38 Auto has become even less impressive over time. It’s almost as if the cartridge has aged in the same manner a person would have in that amount of time. Enter: Buffalo Bore. 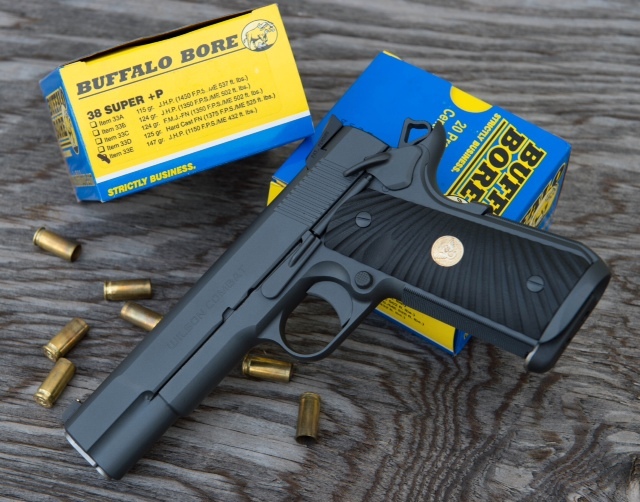 Tim Sundles must have hated to see such potential go to waste, because Buffalo Bore Ammunition has certainly contributed to the rebirth of the cartridge for self-defense use, and Tim’s loadings for the 38 Super are anything but anemic. Initial impressions of the BBA 38 Super were in line with my expectations based on my past experience with the company: consistent length from case to case, nicely polished brass, and mean looking projectiles. At first glance it is very apparent that a lot of attention to detail has gone into the production of these rounds. And if looks alone could kill, nothing would be lost on these rounds. Of course this is not to say that BBA is only about making good-looking ammo. The components are top quality, but it becomes obvious upon shooting this ammo that it is greater than the sum of its parts. For one thing, there is much less muzzle flash than standard range ammunition (and many SD-type loads), which is quite an achievement when you start looking at the ballistics of the loads being produced. (.357 magnum-level ballistics without much flash is a heck of a bonus.) And these rounds are certainly not lacking in the accuracy department, which is a place even many historically popular SD-rounds leave a bit to be desired. Below are a couple of nice shots of the 147 grain 38 Super JHP load with what appears to be the oft-touted Speer Gold Dot projectile. All of the ammo tested smoothly cycled through the weapon without a single malfunction, and although there were some pressure signs on a few primers from the 124 grain FMJ-FP sample, after asking Tim about it we came to the conclusion that the two boxes of FMJ tested were slightly older vintage from before BBA started using small rifle primers on the high-pressure Super loadings. This makes moot the concern of a primer failure in self-defense ammunition on which people stake their lives daily, and from a consumer standpoint, I find it very reassuring that Mr. Sundles is constantly tweaking his product to make sure it is continuously improving, rather than merely treading water in a very competitive market. One thing that will quickly knock a company out of the “high end” ammo mar ket is failing to meet their advertised velocities; as you can see in the chart below, the mean velocities were in excess of what was advertised. Keep in mind that compacts are going to lose around 100 fps in most cases, but Tim lists real velocities out of 3 guns on most product webpages, and thus far I have not been misled once. Part of the way through the review, I had a small issue with my only Super-chambered weapon (and had to send it in for some work), so I busted out some of the fantastic 9mm +P+ Buffalo Barnes rounds from “the stash” to keep testing going inasmuch as that was possible. I already carry it daily in my Sig Sauer P239, and I feel very confident recommending it. Additionally, the ballistic characteristics of 9mm +P+ are about as close as it gets to 38 Super besides 9×23 or 357 Sig. 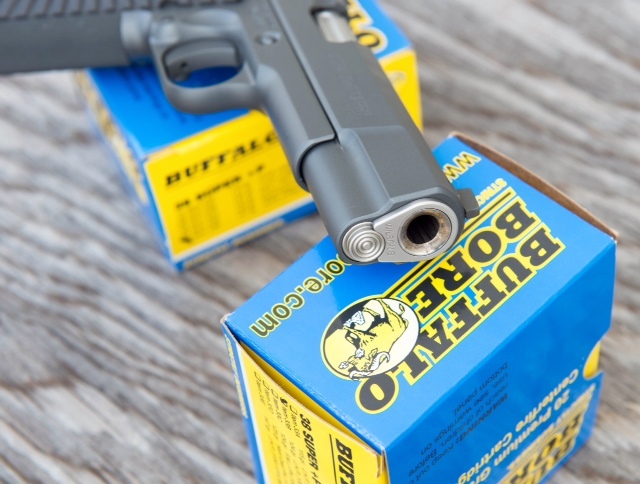 The Buffalo Barnes rounds use one of the most advanced and highly regarded projectiles of the past decade, the Barnes TAC-XP (or XPB, depending on caliber), and are loaded up with flash-retardent powders. 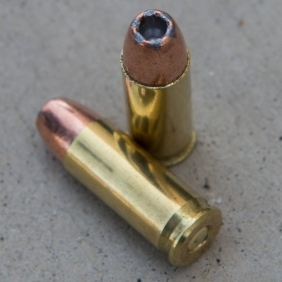 I have never had any pressure issues with these rounds at all, which leads me to believe that they, like the more recent runs of 38 Super, might use small rifle primers on high pressure calibers. Even out of the shorter-barreled gun, these grouped very well, and the superb performance of the Barnes round is well-enough documented that testing it further into ballistic gelatin or denim-covered milk jugs wouldn’t prove anything at all. A Buffalo Barnes loading is available in 38 Super as well as nearly every other popular chambering in both handguns and rifles, and while it is slightly more expensive (around $9 more per box) due to the all-copper composition of the projectile, it is sure to surpass your expectations and perform as expected. Once I got my 38 Super back, it was on to the accuracy testing portion of the review, and the offerings we received did not disappoint. 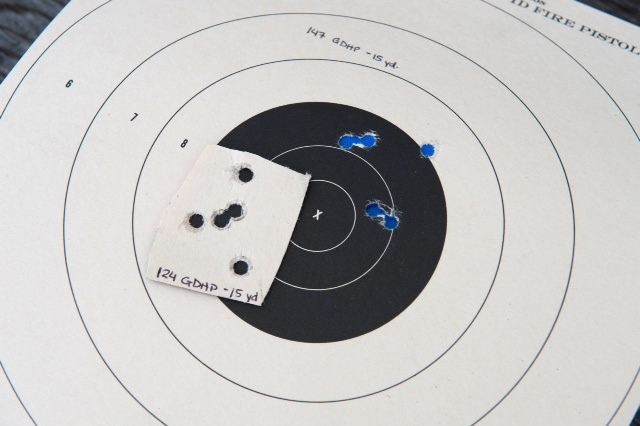 At 15 yards shooting off-hand/standing, the groups for both the 124 grain JHP load and the 147 grain JHP load were slightly under 1.5″, with the 124 grain offering being just a fraction of an inch better than the 147 grain when measuring center-to-center. Recoil was less out of either variety than a .45 ACP producing similar muzzle energy, which makes this a great option for people who can handle more than a 9mm but might have aging wrists or smaller hands. More than minute-of-man accurate off-hand. I’ve been dealing with Buffalo Bore Ammo for a while now, and I have been consistently impressed with the quality of the product they are offering. 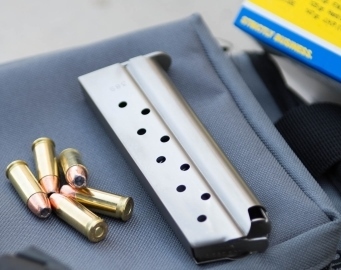 For people with firearms chambered in less-popular calibers, they offer “regular” shooters the flexibility of a reloader with regard to potent self-defense loads. And if you have a 9mm or a .40, they offer plenty of great choices for you too! I have a Wall-O-Buffalo Bore in the safe now, because I can expect this ammo to do what it is supposed to do every time, and there is a lot to be said for peace of mind in that regard. With ammunition in general as expensive now as it has ever been, BBA prices have remained relatively stable, and compared to some other personal defense ammo at nearly the same price point but a lower level of performance, this stuff has become a value in the firearms industry. Regardless of the caliber, the performance of this ammo leaves nothing to be desired. And if you ever have to pull the trigger in a hostile scenario, that gives you one less thing to worry about. *Originally Posted 9/1/2013; Special thanks to Buffalo Bore Ammunition for providing the evaluation sample used for purposes of this review.